Shortly, colleges and universities that use the Blackboard Learn or Moodlerooms learning management systems will also be able to offer "day-one access" to digital curriculum for their students, through an agreement between Blackboard and VitalSource. Under the terms, faculty will be able to select content from VitalSource's catalog of digital textbooks and make them available to students on the company's digital textbook platform through their LMS from the first day of class. 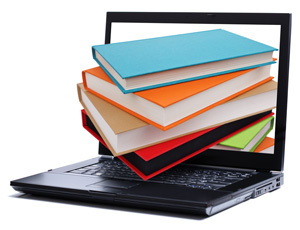 The content is available to students both online and offline. The agreement follows an "inclusive access" model, in which the cost of curriculum is paid for as part of the class tuition and fees. According to VitalSource, because publishers are guaranteed a sale to every student in a given class, they reduce their prices as a result. An advantage of the new arrangement to faculty and administrators is that they gain access to a set of analytics tools that allows them to view data about student study habits. "This innovative collaboration has the potential to affect every educational institution and student," promised Phillip Miller, vice president of teaching and learning at Blackboard, in a press release. "This collaboration will provide access to course materials to all students within our world-class learning environments on day one of class and drastically reduce costs, helping eliminate a fundamental barrier to student success." The integration is expected to be available in spring 2018.